Monica Spath was one of the entrants in my world map giveaway from April 2015. She didn't win the free map, but her world sounded very cool. 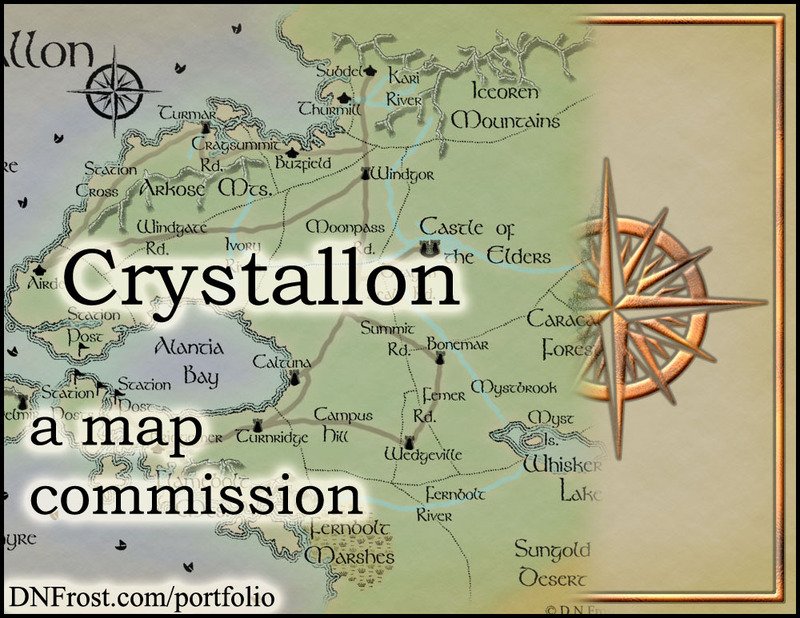 The information she'd entered into the giveaway intrigued me, and I felt like Crystallon was a world that deserved to come to life, so I contacted her about a discounted commission. Though she didn't win the giveaway, Monica was still excited to map her world. She asked me some questions about the basic process, and she sent in a sketch she'd scanned from her art spiral. I was floored! Her artistic sketch was far better than anything I could have drawn myself. 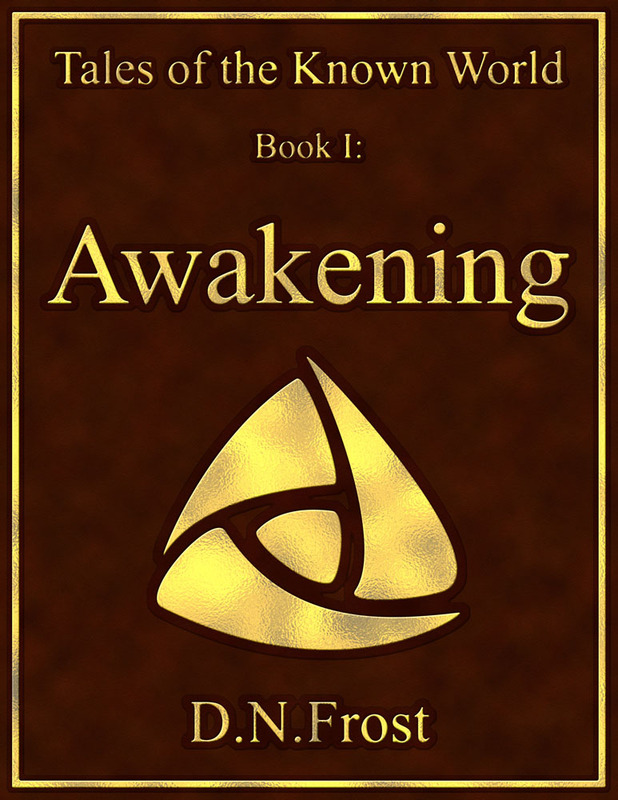 Monica had drawn her mountains in amazing shaded ridges rather than little mountain symbols, and I felt inspired. Though the map hadn't started yet, I wanted to spend some of my own time to see if I could mirror her cool mountain ridges with a technique of my own. 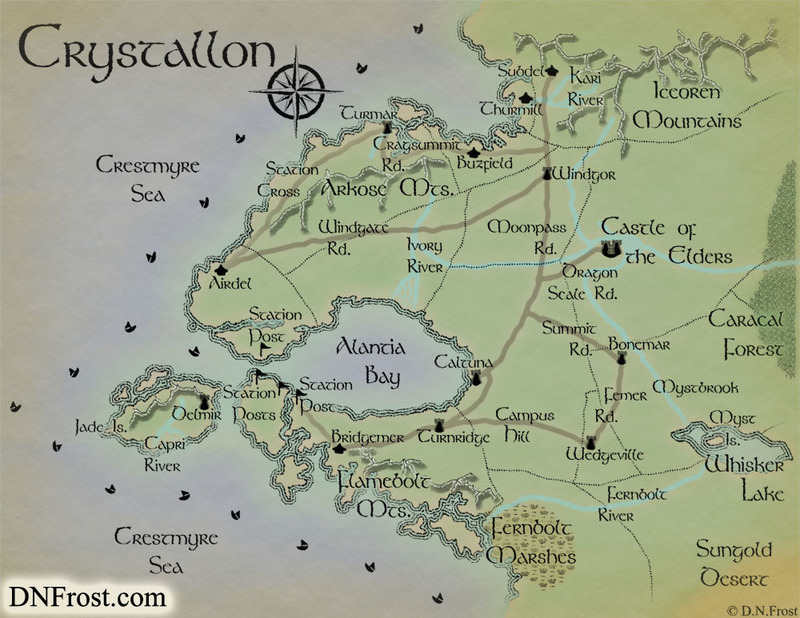 I drafted a map estimate for the realm of Crystallon, and Monica signed the page allowing me to start her map. All the while, in the back of my mind, I was percolating the best way to capture her awesome shaded mountains with a reliable Photoshop technique.